Image 1 of 64. Click to view fullscreen. Although these rooms do not captivate you with their view, in the morning you are awakened by the sunbeams that break in the window. Room with bright and friendly mind, about 20-25 m² in size. Charming Hideaway complacent? Welcome to the Hotel Miramonte, at the foot of the Hohe Tauern National Park. Location of the propertyIn the lovingly renovated Miramonte, just a short walk from the impressive center of Bad Gastein, artists and free spirits find the place for the perfect break. Directly below the popular Graukogel with an indescribable view over the backdrop of Bad Gastein and the Gastein valley, you can enjoy the "very big view" in the Miramonte. Directly behind the hotel start the famous high-altitude promenades, which lead guests quickly out into the untouched nature. DescriptionCharmanter Retrochic welcomes you already upon entering the house. 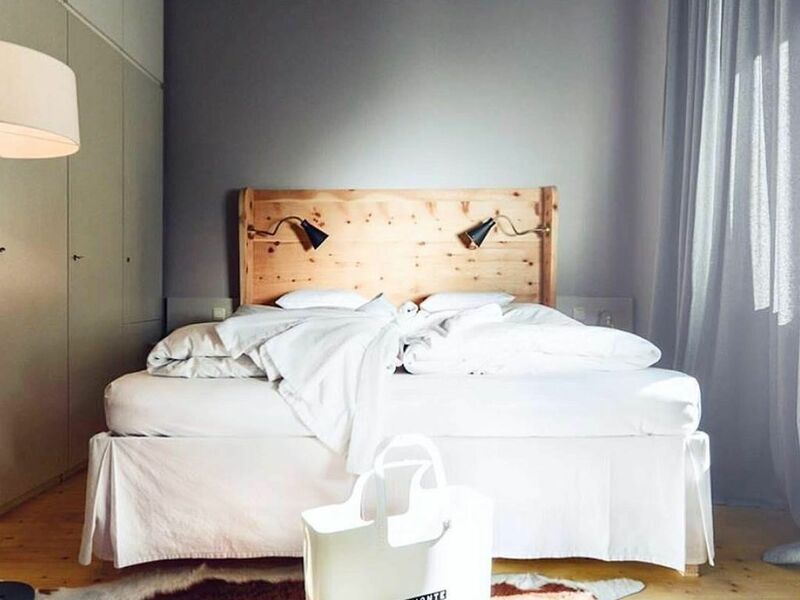 Unusual furnishing ideas - designed by the landlord Ike Ikrath - let you forget time and space - so you can enjoy the ambience of a cosmopolitan hotel and relax in absolute peace in the Salzburger Land. The 36 bright rooms harmoniously showcase simple design and fine natural materials. Most of the rooms have a balcony where you can enjoy the warm sunshine and the view over the Gastein valley in the morning. The vintage bathrooms complete the urban style of the hotel. Hotel guests can convince themselves of the effect of the healing thermal waters of Bad Gastein directly in the hotel. A bath in the magical water is not only relaxing, but also revitalizing and rejuvenating. Start your day with yoga. On the sun terrace, the Gasteinertal is at your feet, while you strengthen yourself with cold-pressed juices, fresh farmhouse bread and vegan spreads for the exciting day. Those who have brought a bit of work will find peace and fast Wi-Fi in the Miramonte Co-Working Space. In the evening, the fire bowl on the terrace becomes a favorite place and you quickly get into conversation with other guests or watch classic movies at the "cinema under the stars". "You have to experience the Hotel Miramonte In Bad Gastein to believe it. "We are happy to become your new Base Camp!Your family Ikrath & Team.